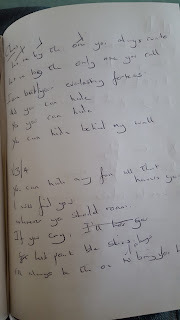 In response to many requests and enquiries as to how I put songs together or indeed how I write songs I thought I would share the process with you with the writing of a new track "Behind My Wall" from start to finish. 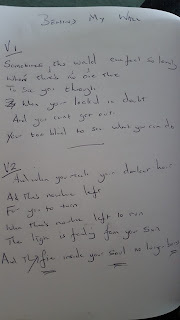 This is by no means a definitive way as to the process we write but in this song's case it's the story. 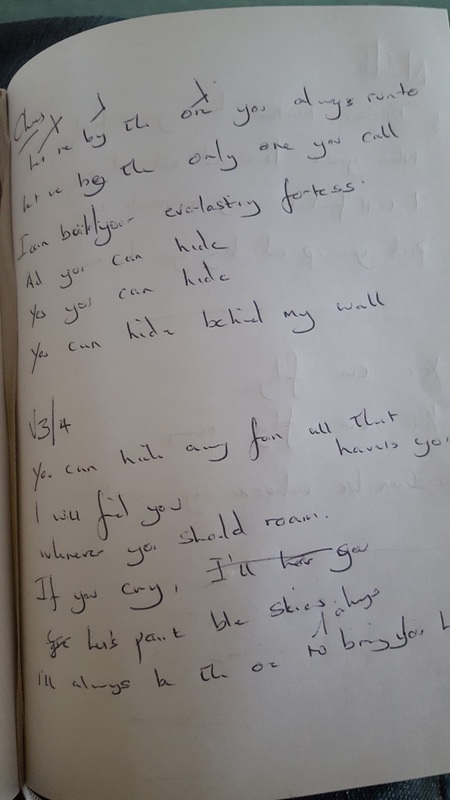 The lyrics that are first recorded took the framework from the above and we added lines "in the moment" or just improvised on the first vocal take. Sometimes you just get rhyming nonsense but occasionally you get something special. 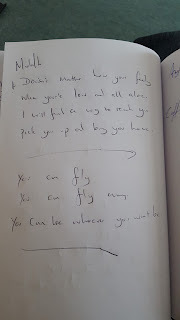 The middle 8 section "You Can Fly" was completely improvised both musically and lyrically but for me brought a tension that wasn't there. I think listening back it comes from a Supertramp influence. 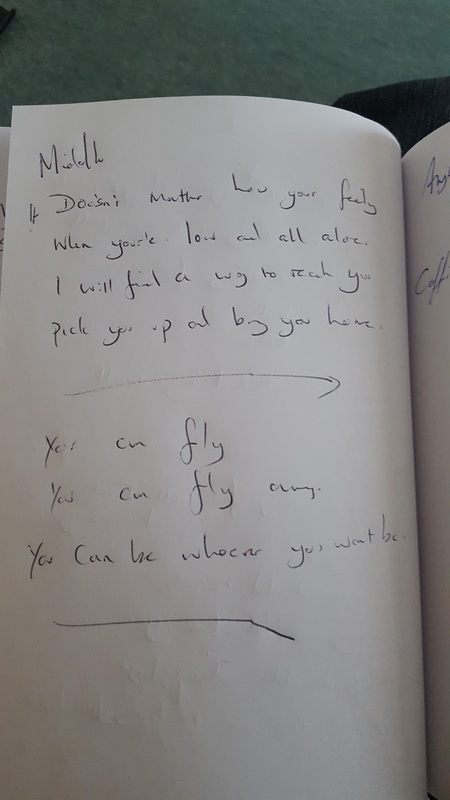 Forget your ipads, tablets, mobile phones etc I do find the act of physically writing helps with "meterage" and "weight" and sometimes when you see a line written back it clearly doesn't fit into the song. It's a good discipline for me. I had always wanted to put a straight "pianoman" song together. Even the "Pazz" album which is predominantly piano based keeps the piano as a background instrument rather than a lead. So unapologetically if this sounds like a Billy Joel or an Elton John song well it probably does. 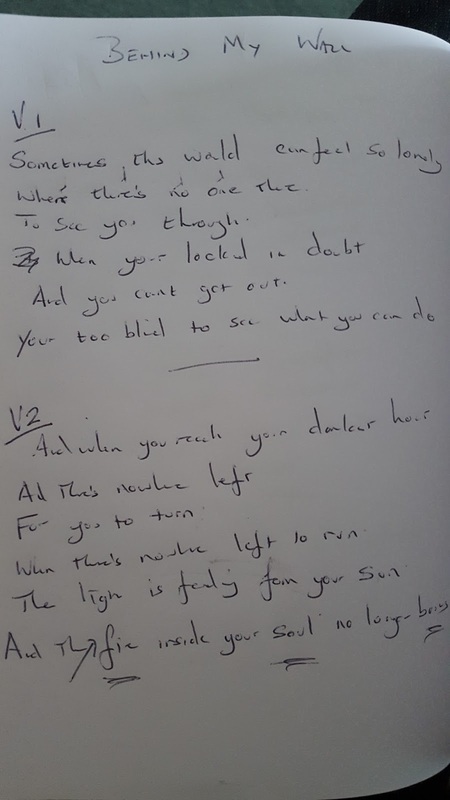 Wev'e captured the first take of the piano on my facebook page which gives a framework to the verse and chorus as well as the opening "hook"
So combining both the lyrics and music the first thing we do is produce a "sketch" to give an idea of the song. At this stage lyrical and musical accuracy is not the major concern. The sketch will contain many errors as essentially it's about a day's worth of ideas all thrown together with very little taken out. Most of what is on this version is "improvised" and lacks cohesion however you do start to get a flavour of the track and for me living with it in the car on journey's I start to hear the "That doesn't work" or "I Like that" and prepare the track demo version. For the first sketch we use programmed instruments with maybe live keyboards and guitar. This particular track was completely written from the piano take which is more or less the original take. At this stage the only accuracy we really look for is the speed of the track as ultimately it sets up the "groove" and "feel" and a couple of beats per minute (bpm) can make the difference in the song sounding just clumsy.